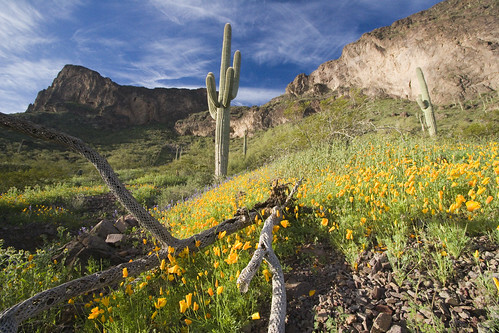 There are numerous reasons to hit the trail for a hike. Some people do it to socialize, while others do it to find solitude. 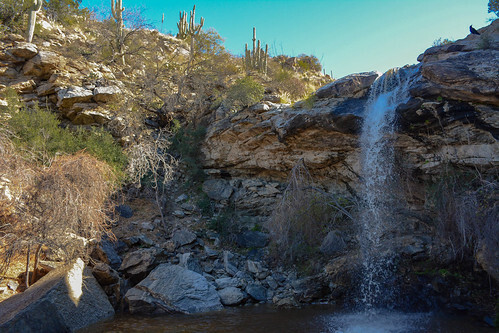 You get fresh air while you explore the wilderness and find amazing waterfalls, rock formations, and other natural formations. But one of the best reasons to take a hike is for the exercise. One of the secrets to a healthy lifestyle is to find something that you enjoy doing for exercise. Regardless of how good it might be for you, if you hate running on a treadmill, you're not going to do it. That's why hiking could be a great part of your routine if you enjoy being out in nature. 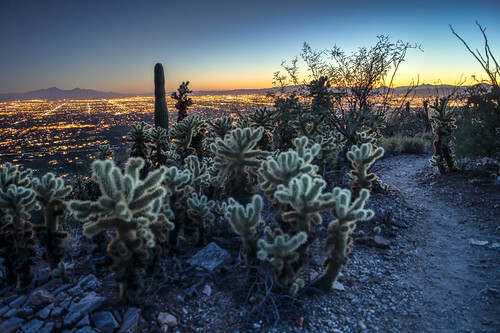 Thanks to Tucson's fantastic geography, there are a ton of fantastic options nearby for hikes that will get your heart rate up. 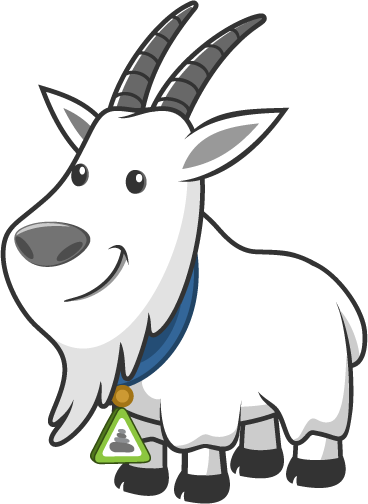 Whether you're looking for a well maintained trail to do some trail running or you want a short and steep climb, there is bound to be a hike or two around town that will give you the workout you're looking for. 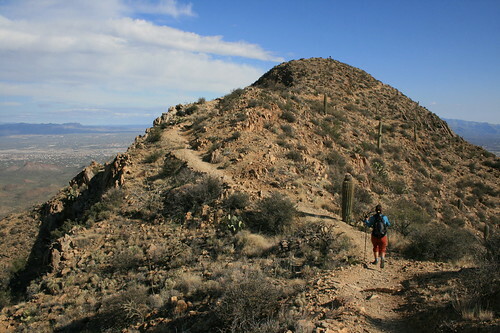 The trail to the top of the highest peak in the Tucson Mountains is well maintained, gradual, and not too rocky, making it an excellent option for a trail run. 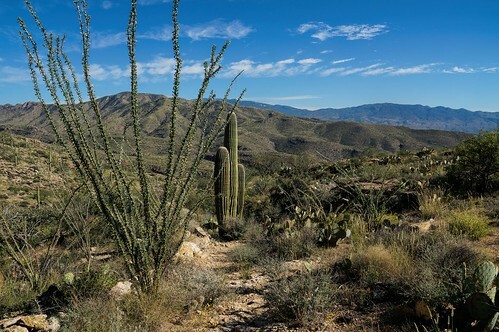 After a nice warm up through the foothills of the Santa Catalina Mountains, Pontatoc Ridge offers a steady incline that will take you up to an old mining prospect that makes for a great spot to cool down in the shade. 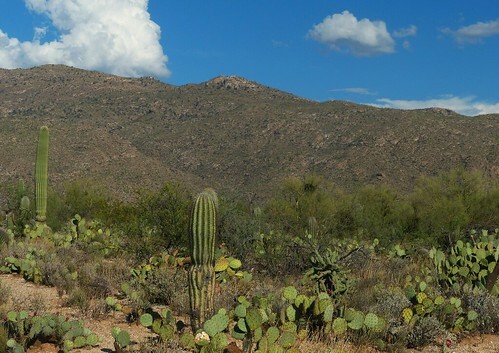 If 4,000 feet of elevation gain over about 5 miles (one-way) to the highest peak in the Tucson area isn't a workout, perhaps it's time to enter the next Iron Man. 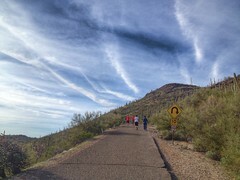 Getting to the top of Picacho Peak will require you to climb up and down stairs, ascend steep switchbacks, and even engage your upper body through using cables to help pull yourself up at points. At the end of the Finger Rock Trail, you will not find a rocky digit (read our story of learning this the hard way), but rather the summit of Mount Kimball. 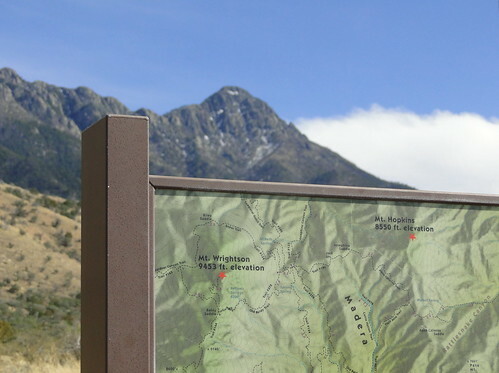 The trail is short but steep, and if you don't have time to go all of the way to the top, there are several other spots where you can plan to turn around sooner, like on the level 2 Middle Vista hike. 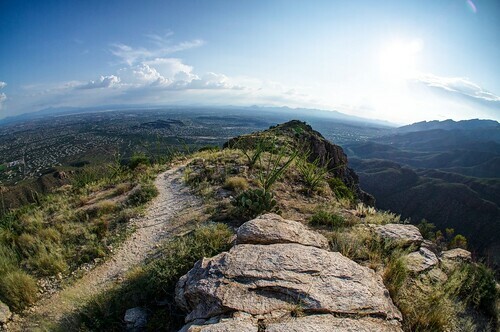 Right on top of the Tanque Verde Ridge, which provides a steady incline, there is a large dome of solid rock where it feels fabulous to relax and revel in your achievement as you gaze out over both the city and the climb. Gaining half a mile in elevation in the two miles it takes to get to the summit means this hike will have you putting your knees to your chest at times. It's a short hike and a solid workout. Depending on where you park your vehicle, you'll have anywhere from 2 to 20 feet of warm-up before you start the steep climb up Soldier Trail, above the Catalina Highway. At under 5 miles, this hike may be short, but you'll gain a third of a mile in elevation over the course of it. It's broken up nicely into three sections that each feature a rigorous climb followed by a reprieve and the view at the top is nothing short of spectacular. 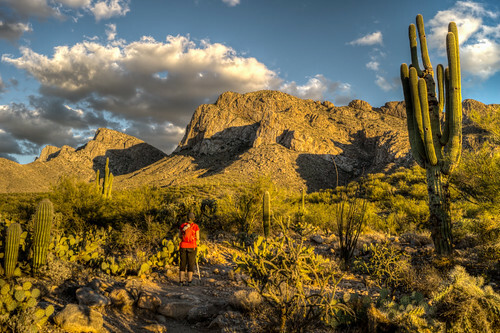 Although local Tucsonans use a lot of different trails for their outdoor exercise, we couldn't put every hike on this list or it'd be meaningless. 3 that didn't quite make it, but that are still deserving of a mention include: Tumamoc, which is a popular push up a paved road to the top of a small peak near downtown; Bridal Wreath, which is an outstanding base for a trail run to a waterfall on the East side of town; and Cardiac Hill, which can certainly live up to it's name. Phoenix has Camelback, Tucson has Blackett's. 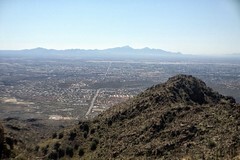 This popular hike is accessible, steep, and rewards the effort with one of the best views anywhere on the local trails. 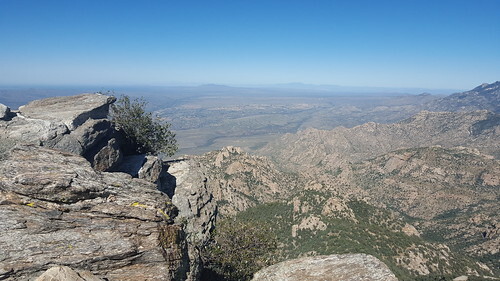 Blackett's Ridge is a favorite among locals for all of those reasons, and because at just under 6 miles it's an incredible workout that can usually be done in just a couple of hours before work, which is when many people will tackle it. Do you agree with our list? 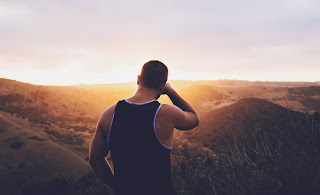 What is your go-to hike for a workout? Tell us your thoughts in the comments.